Christina Fagan, the entrepreneur behind Sh*t That I Knit, with a customer in Dewey Square in December. 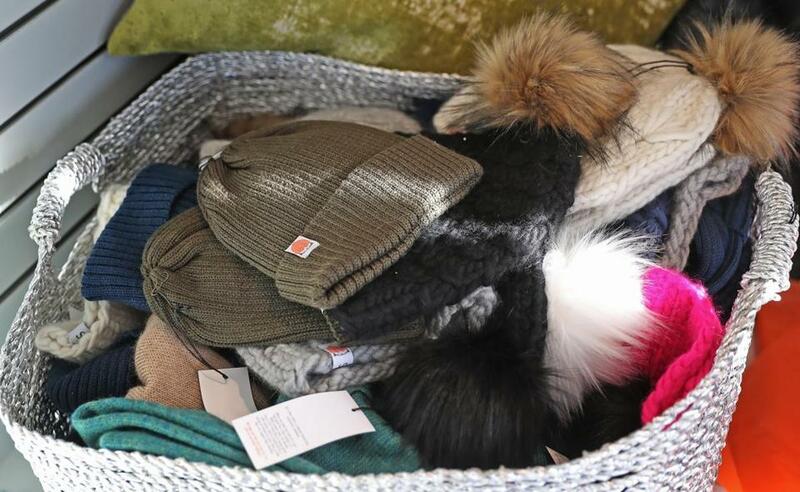 “I remember thinking, ‘Wow, this girl has influence and impact, and she created a community that people just gravitate toward,’ ” said Katharine ReQua, who carries Fagan’s hats in her Seaport boutique, For Now. Fagan, whose knit hats have become a nearly $1 million-a-year business, represents a new kind of entrepreneur. Many brands now rely on social media “influencers” — trendsetters known for making their many fans feel intimately involved in their lives — to help sell their products. If an influencer loves a brand, the thinking goes, their followers will want one, too. But the savviest entrepreneurs, like Fagan, have managed to become influencers themselves. Fagan, 29, uses Instagram, the image-centered social media site, to tell stories, weaving her products into her posts and reposting photos from customers who lovingly tag the brand in their selfies. To her 27,000 followers, Fagan is a character, and the growth of her small business is the plot. Because Fagan is a real person they can actually interact with, fans feel a bond with her, and each other, that translates into brand obsession. “I’ve never met her in person, but I feel like I know her,” said Jenny Place of Portland, Maine, who persuaded her husband to join the bikinis-and-beanies contest on her behalf because she was at work. A basket of hats at Sh*t That I Knit. Fagan has been building the STIK brand since 2012. It started as a joke when she was a senior at Skidmore College, posting pictures of her knitting projects to a blog of the same name. But Fagan’s clever use of Instagram transformed the concept from what could have been an Etsy side gig into a bona fide business. She now sells $125 hats and $185 wraps knit by a women’s collective in Lima, Peru. “Instagram has really been everything,” she said. 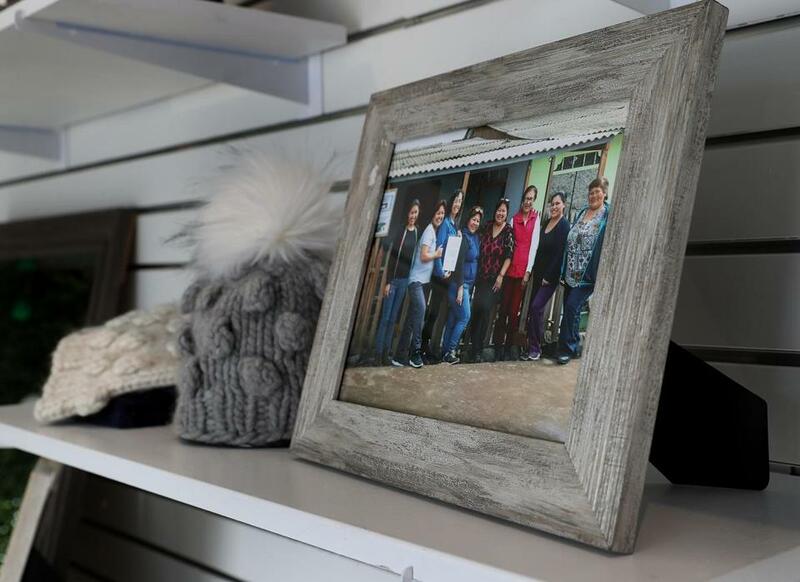 Christina Fagan now has a community of women in Peru who work with her to knit hats and wraps. A photograph showing some of the woman can be seen on the store’s shelf. Influencer marketing is now one of the fastest-growing advertising segments. Worth an estimated $2 billion in 2017, the market for such promotions is anticipated to hit $10 billion by 2020. Micro-influencers, defined as those with 1,000 to 100,000 followers, can command a powerful sway over niche markets, spurring their loyal followers to follow, and eventually buy, products they recommend. Entrepreneurs who double as influencers can surge ahead in such sectors as fashion. Kaity Cimo, co-owner of For Now, said brands that offer a more personal connection with their fans — like womenswear designer Dudley Stephens or jewelry designer Mary Bret — are finding the most success online, and cross-promoting other small businesses can translate to an uptick in sales. Fagan did not set out to become a social media darling. She started selling her hats at the SoWa market in Boston in 2014. Building an Instagram presence seemed like a natural next step. “I knew the name had something sticky to it,” Fagan said. By 2015, she had quit her day job in advertising and recruited a team of local women to stitch hats. Eventually she needed more hands, so she connected with a Peruvian knitting collective that pays women a living wage and lets them work out of their homes. Fagan now has a staff of three and a host of experimental retail storefronts. 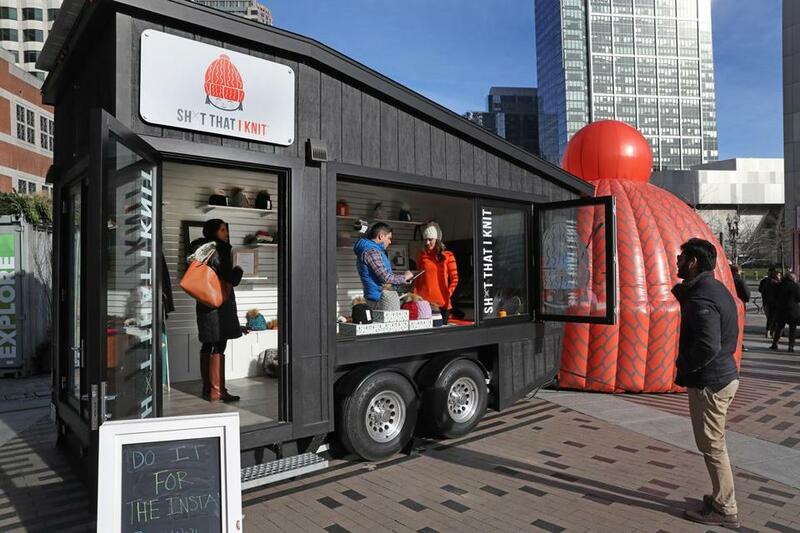 This winter, she held pop-ups in New York City and the Seaport’s She-Village, parked a Flexetail trailer around the city, and sold her goods from a huge inflatable orange hat — which doubled as an Instagram-worthy prop. Christina Fagan sells her goods from a huge inflatable orange hat — which doubled as an Instagram-worthy prop. During the frantic holiday season, Fagan also did her own guerrilla marketing, sending hats to influencers (so far, Kristin Cavallari, Katie Couric, and Sarah Jessica Parker have all helped promote the brand). She also continuously posted images, contests, and video stories to Instagram, often speaking directly to her phone’s camera about the stress and daily challenges she faces. “It’s so weird, I’m broadcasting out stuff as if I’m an actress,” Fagan said. But it works: Her followers have begun using her hairdresser since she praised his deftness with blondes. They’ve demanded to know where she bought a pair of earrings she was wearing, which led to an Instagram contest that served to cross-promote the two brands. It is this blurred line between the brand and the personal that often appeals most to consumers, said Brooke Erin Duffy, a communications professor at Cornell University who has studied how women often undertake the “aspirational work” of curating social media platforms as they pursue creative careers. But she said the always-on nature of the work can be grueling, and most social media entrepreneurs never get real about the time, energy, and financial resources involved in pursuing their passions. Fagan acknowledges the business takes a toll. When she launched a line of ponchos the week of her honeymoon, she found herself updating her website from Tulum, Mexico, after the merchandise quickly sold out. And she said she has to balance the amount of personal life she chooses to share. Lucie Corkery and friends posted an Instagram story as part of a Sh*t That I Knit contest. 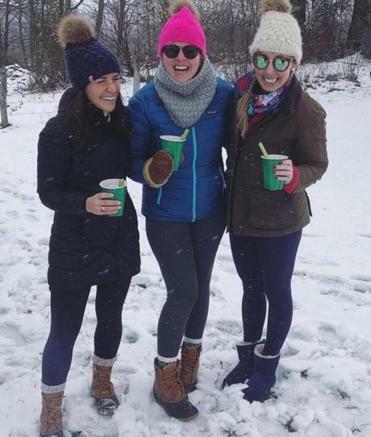 Lucie Corkery, a 28-year-old who works in finance in Boston, has been following Fagan for three years, buying four hats and two ponchos along the way. “Yes I could go and buy a cheaper hat that was made in China . . . or I could use my money to invest in a young woman working hard and choosing to do good with it,” she said, noting that she loves that Fagan donates “Give-a-Sh*t” knitting kits to cancer patients. Place, the 26-year-old nurse who lives in Portland, Maine, said following Fagan is taking part in something bigger. Correction: This story has been updated to correct the spelling of womenswear designer Dudley Stephens.